Images of saints depicted alone, holding their attributes and looking out of the picture space were among the most popular compositions within Zurbarán’s output, and he approached this motif in a unique manner. The fact that there is evidence that the artist sent several series of images of female martyr saints to South America is proof of their popularity. In 1647 the artist was paid for twenty-four virgin saints for the monastery of Nuestra Señora de la Encarnación in Ciudad de los Reyes, Peru, while in 1649 he sent another fifteen to Buenos Aires. The present canvas of Saint Casilda, which may have belonged to a convent in Seville, was among the booty taken from Spain to France by Marshal Soult. The painting is recorded in the auction of his possessions held in Paris in May 1852. It was acquired by the comte de Duchatel for his Paris collection and appeared on the US art market prior to 1913. That same year the painting was to be found in the Canadian collection of Sir William van Horne in Montreal. 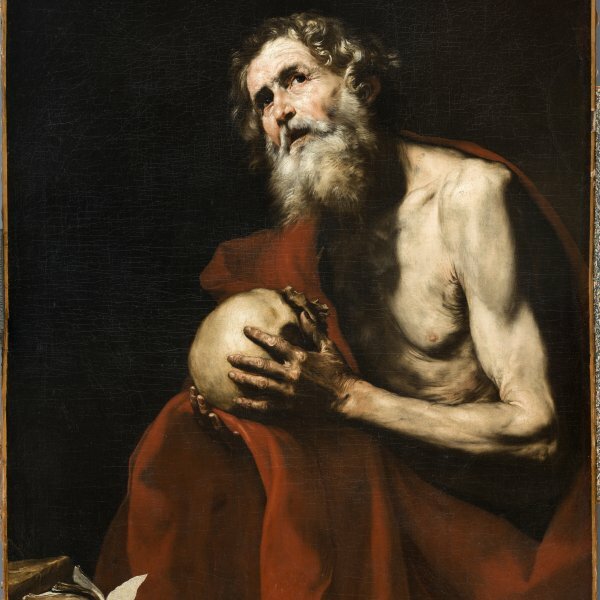 It entered the Thyssen-Bornemisza collection in 1979. Saint Casilda has been identified in some publications as Saint Elizabeth of Hungary as both of these saints have roses as their traditional attribute. The absence of a crown on her head, typically found in depictions of Elizabeth, led Jonathan Brown to identify this saint as Casilda, who here wears a gold and pearl headband. Daughter of an Arab king, Casilda was martyred in 1087. She had left the Islamic faith and converted to Christianity, taking food to her father’s Christian prisoners. Surprised by her father during one of these risky visits, a miracle occurred and the food hidden about her body was transformed into roses, the traditional attribute of this saint. Richly dressed both with regard to her jewellery and costly, jewel-embroidered gown, the saint is modelled with a strong light that emphasises her monumental stature and highlights the strong colours of her clothes against a simple, graduated background. 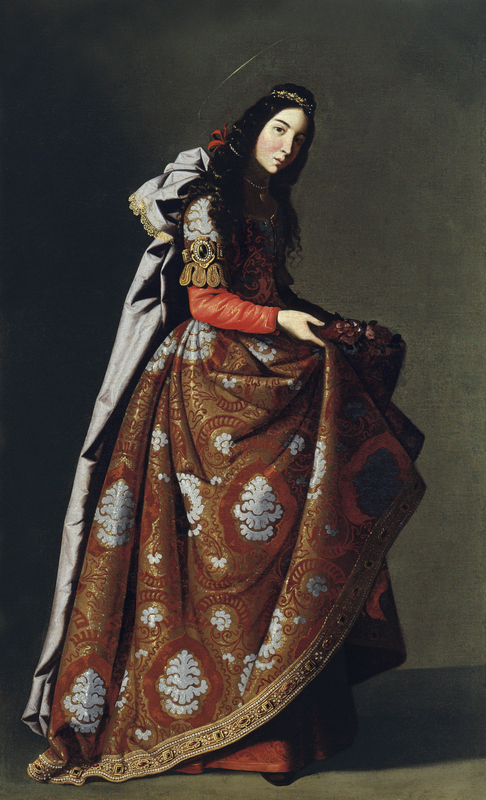 Zurbarán paid particular emphasis to the textures of her clothes and to the gold embroidery and jewellery. The notably individualized features of some of these martyr saints has led to the formulation of the concept of the “retrato a lo divino”, in which these saints would be portraits of real women, depicted with holy attributes. The present canvas has been compared to other similar ones such as Saint Elizabeth of Portugal in the Museo Nacional del Prado, Madrid, and Saint Margaret in the National Gallery, London.